Google's Allo and Duo are the Android-maker's latest entries in the world of chat apps. Yes, we do mean to say "latest", as there have been quite a lot of them over the years. For some reason, Google just chooses to scrap one project and move on to the next. But that said, it seems that Allo and Duo are here to stay. They are by far the most polished of Google's communication tools, and they are still being developed. Duo is the voice chat app and Allo is the texting app, which may or may not get SMS integration in the future. 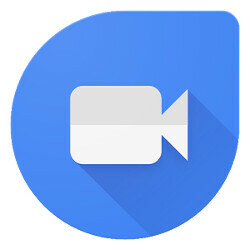 It's easy to draw parallels between Google's Duo and Apple's Facetime — both are super straightforward, are supposed to work wonders on less-than-ideal connections, and are the OS developer's first party video callers. Well, Duo does have the benefit of being cross-platform and the nifty Knock Knock feature. In any case, it seems Google is pushing for Duo to become an even bigger part of your phone usage — the latest update will let the app to record your calls in your phone's call history. Effectively, this looks like it's moving in the direction of "normalizing" Duo as an integrated feature in the Android OS. Who knows, maybe in the future we'd be able to start a Duo call and Allo chat straight from the contacts screen? Wherever this goes, the feature is still pretty bare bones. When we open the call log, we see a recorded outgoing video call. If we tap on it to call again, the phone defaults to the regular Android video call, instead of going through Duo again. To be continued, we guess. Now just give allo sms and we're good to go.